I get emails often from enthusiastic trainees looking for the Holy Grail training program. They are on a desperate search to find the best program imaginable and then sail off in bliss to training Nirvana. Unfortunately, it is not that simple. There is no one best program; no program will produce results forever. Eventually, you will adapt and become immune to whatever program you are on. At this point you can either be a stimulus addict and just stick with the program you&apos;re on even though it is not producing results or you can wise up and switch to another program. This is a hard concept to grasp when you are actually on a training program that is working extremely well. During this time it is easy to have the illusion that progress will keep coming indefinitely. Even when progress comes to a screeching halt, many trainees find it hard to "break up" with their beloved favorite program. Similar to a bad relationship, the trainee often looks back to when the program was great and ignores the reality that it is no longer working in the present. Do not be this trainee. Do not be so attached to one training system that you cannot benefit from another training system. Do not make the mistake of being addicted to the stimulus of training that you overlook the fact that you are not making progress. The goal of training is to make progress. Whether it is to lose fat, get stronger; build muscle or a combination of all of the above you need to be focused on results not simply punching in time. Just clocking in hours at the gym is not going to guarantee that progress is eminent. Just as clocking in hours in a business or job is not going to guarantee that you will make more money. You have to work smart not just hard. One option that works well with training is to switch gears every 3-to-4 weeks. For example, do three weeks of high volume training such as 10x10 (ten sets of ten). Then switch to some moderate volume training with a higher intensity such as 5x5. Finally, go to a low volume higher intensity program in which training with maximum weights is the goal. While the concept sounds simple enough, it requires discipline to move from one program to the next. Why? You will often be making great progress in week three as you get used to a program. Once you switch to a new program the first week or two are uncomfortable as you adapt both mentally and physically. Once you get used to the program, it is time to switch again and that my friend is exactly the point. Rather than wait for the program to stall in week five or six, we stay one step ahead of the curve by switching gears before it is too late. Similar to the stock market, you have to know when to get in and when to get out. Sounds easy enough right? Please, how many times have you stayed on a program way too long because it is comfortable? H#ll you are probably on a program right now that you have been on for months if not years and you wonder why you have not made progress since 2002! No more it is time to take charge of training and get smart. Without further ado, here is what I am going to propose. Rather than wait every 3-to-4 weeks to change a program, let&apos;s add some variety right off the bat and then make moderate modifications each month. Here is how it is going to work. We are going to start of the week with the 5x5 program as our high volume day. In the middle of the week we are going to use a moderate training and higher intensity program such as 3x3 and finally at the end of the week we are going to ramp up the intensity and apply a low volume program such as 1x6 per exercise. The focus of this program is increasing overall strength. However, you can easily make it a size and strength program by ramping up the calories and ensuring your hormones are optimal (testosterone and growth hormone being the two most important ones). If fat loss is your goal then you are also in luck as the best way to combat fat is to build as much lean muscle as possible while keeping calories in check. While I do not think that cardio is essential for fat loss, it can provide a nice boost and of course has many other health benefits. Thus get in 2-to-3 days of cardio on your off days for the active recovery benefits as well as the health benefits. No need to go overboard as 20 minutes is plenty. The End Of Painfully Boring Cardio Workouts. I am going to cover three highly effective fat loss programs in this article: PHA, HOC and the Descending Sets Program. Beware - Some of these are not for the faint of heart. Next lets go over each day on the program and then go over some sample programs to get you into action. I have written about the 5x5 program many times. No there is nothingmagical about the program, and 5x4 or 5x6 would probably work just as well. It is simply a good solid program for strength and size. While the volume is not low it is not super high either and most trainees can handle it at least once a week. High volume training is effective for building size and strength. Here is how the 5x5 program works. Pick a weight for an exercise such as the barbell military press and do five sets of five reps with the same weight. Once you can do five sets of five with the same weight, add five pounds. Do not add five pounds if you do not nail all five sets with the same weight. For example, if you complete the first three sets and then get four reps on the fourth and three reps on the fifth set you do not get a pass to move up to the next weight. Stay where you are at and work on all five sets. Start with a weight that you could probably achieve eight reps with a one set max and use that for week 1. Sure it will feel somewhat light and that is the point. Have a success in week one to build confidence and to get used to the program. Super Charging The 5x5 Program! The 3x3 is a common rep and set scheme in powerlifting circles and is a great way to build strength. Similar to the 5x5 program you are going to use the same weight on all three sets. When you can do three sets of three with the same weight add five pounds. Start off with a weight that you could do six reps with if you took it to your limit. Again, it will feel somewhat light and that is fine for week one. There will be plenty of time to move into the heavier weights down the road. The 3x3 is more of a strength program and the moderate volume and lower reps will be a nice change of pace from the 5x5 program. High intensity training otherwise known as HIIT is controversial. People either think it is the greatest training program ever or the equivalent of the bubonic plague in the training world. Here is how it works, pick a weight for an exercise and knock out the reps until you hit your limit. Stop the set when you can no longer continue in good form. Here is where it gets tricky. Many HIIT proponents recommend that you go for another rep no matter what. This often results in a sloppy final rep which is a great way to get injured or simply burnout. When you overload your body with too much intensity, you break it down to a point that you cannot recover adequately. The end results is you feel weaker at each workout and have to apply more effort and force to get the job done. The brain is a very important component of training. 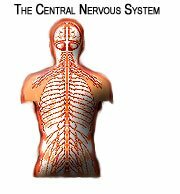 Once the CNS gets fatigues the muscles are no longer recruited in the most efficient manner and strength goes down the drain. Thus, we need to make sure we apply the right dose of HIIT. It is certainly not something to be done more than once a week for most trainees and rather than miss the last rep of each exercise stop at your limit. In other words, if you have completed ten reps and do not know for sure that you can nail the eleventh rep, stop at ten. Never end a set with sloppy form. You may be wondering why HIIT is even in the program if the probability is high for CNS burnout and over training. If you never push yourself to your limit you will never know what you are capable of and you will never learn how to push through when things get hard. The problem with people that train in HIIT style all of the time, is they push through no matter what. In other words even if they are having an off day and are feeling weaker they train to failure when they would have been better off doing a light day or not training at all. Alternatively, trainees that never train to their limits, often give up when the set gets hard. In other words, when they get to a hard rep with a sticking point, instead of pushing through they automatically give up as they have been trained to always be fresh and to never train to failure. As a result they miss out on some tremendous strength opportunities as well as mental toughness conditioning. The bottom line is that HIIT has a place in an effective training regimen from time to time and should not be overlooked. Just do not get attached to the stimulus aspect of HIIT which tends to be addictive for people that are stimulus addicts in other areas of life. Many trainees feel that they did not have a good workout if they are not wiped out after a training session. Again the focus is on the wrong aspect of training. You want to focus on something measurable such as strength to track your progress. Alright, we know what programs we are going to combine for the combination program, now let&apos;s talk about how to set it up. The program is going to call for three weight-training workouts per week. For simplicity take Monday-Wednesday-Friday will be the choice for this article. Yes, you can do it on Tuesday-Thursday-Saturday. You can even take an extra day off between each workout or some of the workouts if necessary. However do not do two workouts in a row. These are full-body workouts and you need a break between each session. Do Not Do Two Workouts In A Row. Generally Monday is the day you will be most energetic. Sure it is back to the grind at your lame job, but you had a chance to rest over the weekend and should be ready to start off with a great workout to get your training week going. The 5x5 program is the most demanding, work-capacity-wise, due to the volume, so the last thing you want to do is leave it until the end of the week when energy levels are generally lower. The 3x3 program is going to go on Wednesday and will be a welcome change from the 5x5 program. The 3x3 program is moderate volume and pretty high intensity but not too high if you avoid training to failure on each set. Finally, we are going to save the HIIT day for Friday. Yes, the HIIT program is intense but the volume is low and the workout should go pretty fast, given that you are only doing one set per exercise. Moreover, people tend to be more upbeat on Friday as they get ready for the weekend. Thus, use the adrenaline from the celebration of the end of another workweek and apply it to the intense yet brief workout. Finally, you get to two take two days off after the HIIT day so you will have plenty of time to recover from the intense work. OK, now that you have a clear idea of what the combination program is all about, let&apos;s go over a sample regimen for you to put into action right away. Do a set of A-1 and then take a 1-minute break before doing a set of A-2. Take another 1-minute break and then repeat another set of A-1. Continue in this fashion until all of the sets have been completed. Do a set of B-1 and then take a one-minute break before doing a set of B-2. Take another one-minute break and then repeat another set of B-2. Continue in this fashion until all of the sets have been completed. At first glance the program looks pretty easy. Trust me it is not and there is a reason why you are only doing a few exercises. The volume adds up quickly and when it does fatigue will become a factor. Thus, we want to focus on compound exercises that will provide the greatest benefit. Forget about isolation work, as we do not want to major in minor things. Compound exercises such as deadlifts and Standing Military presses will do more for your overall strength and physique enhancement than curls and pushdowns. Regarding the exercise selection, standing presses and weighted pull-ups result in a complete upper body workout. Every muscle in the upper body is hit including the chest and it is done in an efficient manner. Do not add any other exercises. For the lower body portion, we are going to focus on the barbell deadlift. The deadlift works the quads and hamstrings and is a strenuous exercise, which is why we are pairing it with hanging leg raises. In addition to not be strenuous, hanging leg raises will help loosen up the lower back which often gets tight from deadlifting. Do a set of A-1 and then take a 90-second break before doing a set of A-2. Take another 90-second break and then repeat another set of A-1. Continue in this fashion until all of the sets have been completed. Do a set of B-1 and then take a 90-second break before doing a set of B-2. Take another 90-second break and then repeat another set of B-1. Continue in this fashion until all of the sets have been completed. For the 3x3 workout we are going to focus on using more weight for building more strength than the 5x5 day. The incline press is a great exercise that combines the benefits of the bench press and the military press. Great exercise for sitting back and loading up the weight as much as possible. The barbell bent over row is a powerhouse exercise for the back and balances out the pressing from the incline press. Many trainees make the mistake of doing way too much pressing and not enough pulling. We want balanced strength and development. For the lower body we are going to build some serious strength with the most effective mass builder for the legs the one and only barbell Squat. Rather than stop at parallel, go rock bottom or as far as you can. 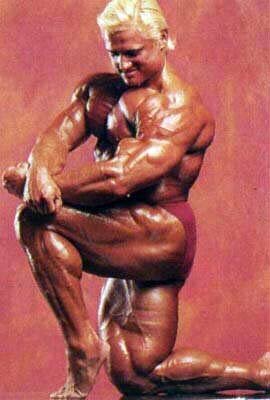 Leg master Tom Platz was well know for his ridiculously huge legs and he spend a lot of time in the squat rack. He focused on full-body squats and is known for knocking off over twenty reps with 500 pounds! All you have to do are a few sets of three so go as heavy with solid form and get the job done. We are going to balance the squats with double dumbbells swings for the hamstrings. This is an explosive move that works the hamstrings and all of the other areas that you cannot see in the mirror known as the posterior chain. If you are not familiar with the swing, then do dumbbell Romanian deadlifts. If you are not familiar with that, then look it up or get a trainer to show you how to do it. Thank God it is Friday and the good news is you are only doing one set per exercise. The bad news is you are doing one hard set per exercise. Oh well, the workout will be over in less than a half hour and you can celebrate a great week of training at happy hour. Keep the rep range between 6-and-12. Start with a weight that will take you to your limit at rep six. Work on taking that weight to 12 reps over time. When you can complete 12 reps, add 5 pounds. The order of the exercises is up to you. Some trainees like to do squats and deadlifts at the beginning of the workout in order to get the most strenuous exercises out of the way early in the workout. Others find that the upper body exercises have a tonic effect and ramp up focus for the harder exercises. Experiment and find out what works for you. Click Here For A Printable Log Of Friday Variation. More than likely you will have some days in which you can handle all of the exercises and others in which you want to scale things back and focus on a few exercises. The more you train the more instinctive you will become on what is the best plan of action for each workout. Often you will have to make mid course corrections at the beginning of a workout rather than being stubborn and following the plan no matter what. The More Instinctive You Will Become. There it is! A training program that has variety built in through out the week. You will start off with some reasonably high volume and moderate intensity at the beginning of the week to get things moving. [ Q ] How long should I stay on the program? [ A ] Stick with the sample program for four weeks. Then take a back-off week in which you go through the program using 80 percent of the weight that you would normally use. On the back off week, do not train to your limit on the HIIT day. Stop several reps short. When you resume training, make a few modifications. For example instead of doing 5x5 on Day 1, do 5x6. Instead of doing 3x3 on Wed try 2x3 with heavier weights or 3x2. On Friday, change some of the exercises. 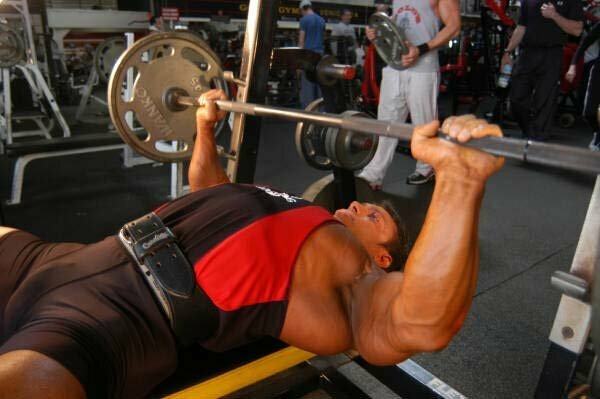 For example, do dumbbell floor presses instead of barbell floor presses. You do not have to make dramatic changes ever four weeks, but you should make some changes to keep things fresh. [ Q ] Where do I fit cardio in? [ A ] Do some moderate cardio on off days 2-to-3 times per week. 20-30 minute sessions are plenty so do not go crazy with cardio. Some moderate sessions will help with workout recovery but it is easy to go too far and get counter productive results. Do Some Moderate Cardio On Off Days. [ Q ] Is this program good for size or strength? [ A ] Every size program should have a focus on strength. Why would you want to get bigger without getting stronger? If you keep your calories in check, this program can easily be a strength program in which hypertrophy is minimal or non-existent. To induce hypertrophy, simply increase the calories with quality food and get a good amount of sleep every night (no less than eight hours of deep sleep). Insomnia: How To Get A Great Night Of Sleep! - By J.P. Finally, hypertrophy has a great deal to do with ideal Testosterone and Growth hormone levels. If both or low, forget about getting bigger. [ Q ] How do I maximize workout recovery? [ A ] Resist the urge to add more work to the program. Leaving a workout feeling energized and empowered is a strong sign that you just completed a productive workout. Next, get in a power nap after each workout. Thirty minutes will get the job done. I like to listen to the Holosync meditation program during this time (Click here for more info). Make sure you have a protein shake after each workout with 25-35 grams of protein and 40-60 grams of carbohydrates. Reduce workout induced inflammation with systemic enzymes such as Vitalzym. Finally get a solid sports massage every two weeks minimum. Every week is better if you can afford it.